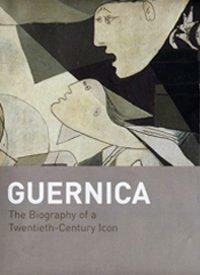 Military History Books, GUERNICA: THE BIOGRAPHY OF A TWENTIETH CENTURY ICON,Gijs van Hensbergen,Bloomsbury,ISBN 9780747549383,Picasso,Spanish Civil War,Gaudi,Franco, CRETE: THE BATTLE FOR HERAKLION 1941,Yannis Prekatsounakis,Helion,ISBN 9781911096337, ARMOR COLOR GALLERY 14: CAMOUFLAGE & MARKINGS OF COMMONWEALTH AND GREEK ARMOR IN THE BALKANS,Jeffrey Plowman,Model Centrum Progres,ISBN 978836067227, ARMOR COLOR GALLERY 13: CAMOUFLAGE & MARKINGS OF GERMAN ARMOR IN THE BATTLE FOR CASSINO,Jeffrey Plowman,Model Centrum Progres,ISBN 9788360672259, ADAM'S ARMOUR 1: MODELLING GUIDE,Adam Wilder,AFV Modeller Publications,ISBN 9780955541384. Guernica relates the powerful story of Picasso's 1937 masterpiece, a painting that from its birth out of war and violence became known worldwide as a symbolic cry for peace. The acclaimed biographer of Gaudi traces the iconic painting's beginnings amid the Spanish Civil War through its use as a weapon in the propaganda battle against Fascism, through the years when it became the nucleus of the Museum of Modern Art's creation in New York, to its role as a symbol of reconciliation when it returned to Spain after the death of Franco, as democracy was reestablished. The first campaign sized airborne assault was launched in Crete on 20th May, 1941. The Battle for Heraklion has remained largely forgotten and widely unstudied. Yet the desperate fight for had everything: street-fighting in the town; heroic attacks against well-fortified positions and medieval walls; heavy losses on all sides; and tragic stories involving German aristocratic families like the von Bluchers and the Bismarcks. 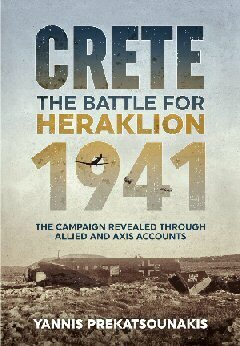 The book contains personal stories and accounts and tells the story of the battle, with the added perspective of extensive Greek accounts. The author has studied the battlefield in every detail, allowing readers to understand the actions by examining what really happened on the field of battle. 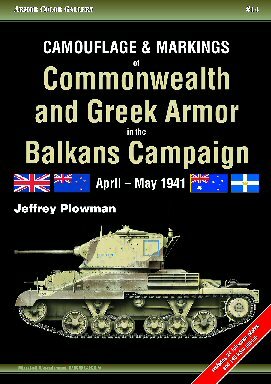 This is an authoritative guide to the armor deployed by Commonwealth and Greek troops in continental Greece and in Crete, April - May, 1941. Covering wide variety of armored vehicles fielded by British 1st Armored Brigade HQ Squadron, 4th Queen's Own Hussars, 3rd and 7th Royal Tank Regiments and 3rd King's Own Hussars, 2nd New Zealand Division, 6th Australian Division and Greek 19th Motorized Division, it includes many rare, previously unpublished photos of early war British armored vehicles, with detailed captions. It includes: A10 and A13 Cruiser tanks, Matilda Infantry tanks, Vickers Light Mark IIIB and Light Mark VI tanks, Bren, Scout and Universal Carriers, and Marmon-Herrington Mark II armored cars. This book is a high quality reference loaded with great, high resolution black and white photographs. 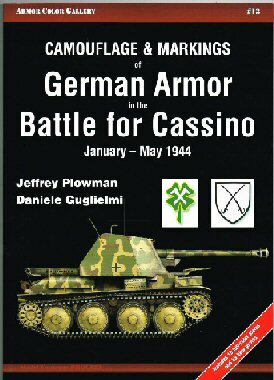 Most pages contain two but no more than three well-captioned photographs of in-action German vehicles during the three battles for the Gustave Line in and around the Italian town of Cassino. it feature4s a selection of late-war German armor including StuG III, Gs, Marders IIIs, Pzr IVs, and Panther A. Also included are Somovente M42s, fixed Panterturm gun emplacements and a captured beute Sherman M4A1. There are also several allied vehicles in some of the photos and these provide excellent diorama inspiration. The ultimate in the construction of armor modeling, Adam Wilder s pioneering processes and techniques are described in the greatest of detail. These present the culmination of many years of work, much previously unseen in print. 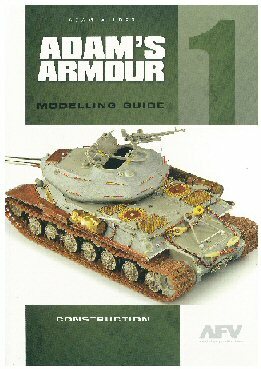 The volume covers every aspect of assembly, detailing and conversion techniques and includes a Gallery of Adams work, together with hundreds of detailed photographs of construction, weathering and finishing techniques This book brings the evolution of plastic model construction and detailing completely up to date.